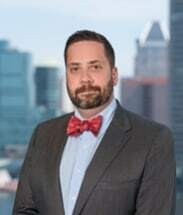 Mr. Scruggs joined SBW Law in 2012 having previously served as Assistant County Attorney for Carroll County Maryland and as Judicial Law Clerk to the Hon. Thomas F. Stansfield of the Circuit Court of Maryland for Carroll County. Mr. Scruggs practice is devoted to the representation of law enforcement and correctional officers accused of misconduct throughout the state of Maryland.